While we all said many things about Osama, excuse me Obama, I feel like there were some things that I left out. As I stated on the show, I've seen a lot of blogs and articles written on the subject of Obama. So I think I should add my two sense and talk about anything we may have left out or, perhaps, wasn't clear. And then you could, the reader/listener, add anything you feel I missed. His mother was named Stanley because her father wanted a boy. According to those who knew her, she had nothing but contempt for her father, authority and men. She was married twice. Once to a Kenyan who named him Barack Hussein Obama. Why would someone who is a non practicing Muslim name their son with the names Barack and Hussein? Both names have DEEP meaning in the Islamic faith. If he was just a proud African, why didn't he call him Nelson after Mandela or Louis or Desmond? I think we should be asking why would a woman, who was a radical atheist/feminist, would allow her son to be named with 2 names that have deep religious meaning? Perhaps it was because his father was either a radical or actually WAS devout in the belief of Islam and, as Islam teaches, that women are like chattel. He would've DEMANDED it from her and DEMANDED that his son carry those names. GOD, GRANT ME THE SERENITY TO CHANGE…. What can you say to these ObamaMentalCases? You ask them, "why are going to vote for him?". They'll respond, "he really represents change" or "he's offering something that the others aren't". But what is that? When looking at Obama, you have to follow the money. We can sit here and discuss the Red Chinese contributions made to Hillary's campaign. But that would be boring. Because after all, Obama is really the candidate who claims himself as being apart from all of that "big time D.C. corruption." So, if he's really claiming to be that "change agent" against the oppressive "man", why was he involved with someone like Tony Rezko? You know, the old saying goes: "you are who you hang with." Rezko, Syrian immigrant and slum lord, is considered in most Chicago circles as "the fixer" or a man who "makes things happen" for a price. He and Obama were involved with a real estate where Obama made a small financial killing. But the phantom behind this whole deal is non other than Iraqi billionaire Nadhmi Auchi. Washington Times identified Auchi as a global arms dealer and Iraqi billionaire who served as Saddam Hussein's principle international financial manipulator. In other terms, he was the bag man. He has engaged in unlawful activities" such as bribing "foreign governments and individuals prior to Operation Iraqi Freedom to turn opinion against the American-led mission to remove Saddam Hussein." He also helped "arrange for significant theft from the U.N. Oil-for-Food Program to smuggle weapons and dual-use technology into Iraq." Political pundits have asked, why would Rezko and a Saddam protege, be interested in a rising U.S. politician who was also opposed to the ousting of Hussein by U.S. forces? Why would that billionaire lend that much money to Obama's fundraiser, Rezko, with the two buying adjacent properties from the same seller on the same day? Through various dealings, Rezko wound up owing Auchi more than $27 million. What did Auchi want in return? Perhaps a friend in the White House? Remember, both Rezko and Auchi are in the business of buying influence. HOW GREEN WAS MY CHANGE? I thought Obama's brand of change meant NOT cozying up to rouge dictators like we have in the past. So then who is Ralia Odinga? Obama has made several "special" trips to see Odinga in 2006. Odinga is the head of the Muslim Leaders Forum in Kenya. He has also made it clear that he will overthrow ANY legitimate Democratic government in Kenya, by whatever means necessary, in order to become President of Kenya FOR LIFE. If he is successful, Kenya will become the African Afghanistan. But it's not only people like Odinga that Obama is willing to open policy of dialogue and accommodation. He has opposed listing Iran's Islamic Revolutionary Guard Corps as a terrorist organization and proposed a grand bargain with Syria's rulers. He is even prepared to ignore two UN Security Council resolutions that require Iran to stop its uranium-enrichment program as a precondition for talks at the highest level. He has campaigned for a formal congressional move to prevent Bush from taking any military action against Tehran. Obama has become the first major presidential candidate in 25 years not to commit himself to transferring the US embassy from Tel Aviv to Jerusalem. Obama has promised to withdraw from Iraq in his first year in office meeting a key demand of ALL Islamic radical forces. He proposes to reverse policies that have taken shape over more than six decades under 12 successive American presidents. Eventhough he's only been a Senator, technically, since 2004, Obama has claimed to have more foreign policy experience than Clinton. If you talk to the ObamaMentalCases, they'll tell you he has more foreign policy experience than McCain. Mind you, half of his Senatorial tenure was spent running for the highest office in the land. Sound absurd? Why would people who support Obama in this country, from all parties, liberal, conservative and independent, who have been starving for a real military leader, those who claim they'd prefer their leaders SERVED, want a candidate like Barack Hussein Obama over John Sydney McCain? It is clear to me that, out of the three candidates, Obama comes in a DISTANT THIRD to McCain's FIRST and Hillary's SECOND on the issue of national security. How you could be a military person or have someone you love enlisted in the military and vote for Barack Hussein Obama is beyond me. "...I'm the only major candidate who opposed this war from the beginning. And as president I will end it. Second, I will cut tens of billions of dollars in wasteful spending. I will cut investments in unproven missile defense systems. I will not weaponize space. I will slow our development of future combat systems. And I will institute an independent "Defense Priorities Board" to ensure that the Quadrennial Defense Review is not used to justify unnecessary spending. Third, I will set a goal of a world without nuclear weapons. To seek that goal, I will not develop new nuclear weapons; I will seek a global ban on the production of fissile material; and I will negotiate with Russia to take our ICBMs off hair-trigger alert, and to achieve deep cuts in our nuclear arsenals." 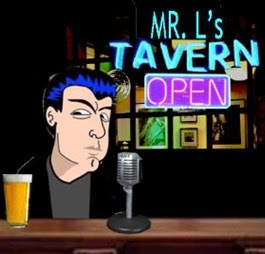 MR.L's TAVERN 17: ELECTION OF "ISMS"